DC’s reborn animated series is hitting the DCU service in just a little over a month. Get your first look at Superboy, Nightwing, and more in the brand new trailer. Here’s a great example of a company listening to fans, and bringing a beloved property back to the airwaves. Well, sort of anyway. It’s pretty clear that DC Comics wanted a fan-favorite show for their new streaming service. Young Justice fit that bill as well as anything, and had the most fans who wanted a comeback. So here we are. Personally, I would have rather had a 90s/early 2k’s DC animated U rebirth, complete with Superman and Batman The Animated Series’, Justice League, and maybe a few more. But who knows? Maybe that’s on the way. 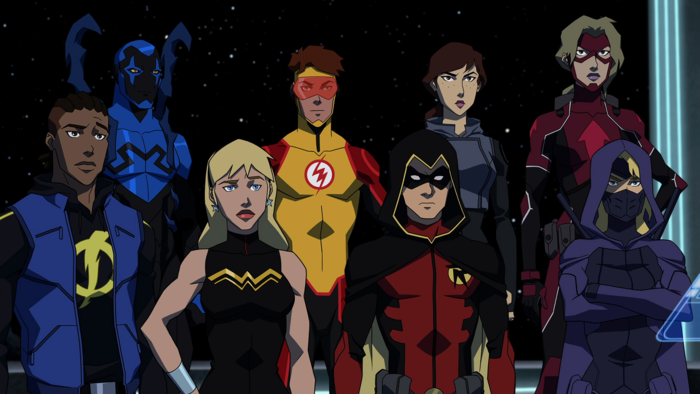 For now though, Young Justice looks pretty great. The tone here in this first trailer is awesome as far as I’m concerned. It’s light-hearted and fun, but with tons of action and a sinister air throughout. Also, it’s pretty great to see Batman and his Outsiders in there, hopefully meaning that the League will be in the new season somewhere too. As for when the show is set to debut, that’d be January 4th. Again though, this is for subscribers only. Much like with the live-action Titans, you’ll have to sub up to the DCU service to watch it.